The mobile phone has changed the entire world by making things possible with a touch. Smartphones play an important role in the day to day functionality of our life from connecting people to do shopping, gaming, banking, and more. While there are significant functionalities available in smartphones, people worry if it is possible to earn money from mobile phone. Yes, it is possible to do online jobs using mobile phone. The Internet provides plenty of opportunities to earn money using mobile phone. There are few restrictions on using smartphone related to internet activities when compared to the using a computer. This even applies in doing online jobs using mobile phone. Though the smartphones are compact, it becomes one of the reasons why it can’t be used for performing operations that a PC can do. In the case of online jobs, it is almost impossible to do data entry jobs using mobile phone. The reason is it’s hard to type huge data using smartphone, no flexible software available, power management etc. Even if the disadvantages line up, there are significant advantages to use smartphones to work. Smartphones can be used to work while traveling, use it in college, home, school, workplace in free time to make money. There are hundreds of ways available to make money using mobile phone. Learn how to earn money from mobile phone without investment. Usually, anything that is created for the mobile phone is highly flexible. Let us take mobile apps for an example, apps are customized software developed for smartphones. Apps help us to make use of services very quickly and easily with the good user experience. The same applies to online jobs on mobile phone. Only customized online jobs can be done using mobile phones. While online jobs are available more for desktop users, mobile users can enjoy the customized ways to earn money using their smartphones. Mobile phones can be used in two ways to search for online jobs. The first one is making use of opportunities to work using mobile phone to earn money. The second one is finding part time online jobs, managing the technical & non-technical operations using the mobile phone. These are the list of opportunities available on the internet to earn money using mobile phones. You can directly earn money using these MMO programs and get paid instantly. The paid survey is the most compatible online jobs that can be done using the mobile phone to earn money. Because paid surveys are based on touch, basically it is choosing the best answer. The survey taker has to read the questions and answer the questions. There will be several questions to be answered to complete the survey. Once the survey is completed, the survey taker will be paid. First, it’s better to understand what is paid survey. The paid surveys are conducted by the survey panels on behalf of companies to collect the user view about the products and services. To make you understand the concept clearly, let us take an example. Social media is used by millions of user around the world and it is important for them to improve their services according to the users’ expectation. To improve their services, they need user views about their services. This is made possible by paid surveys. The survey study will be conducted among the social media users to collect the data(views) about various features of the social media. The collected data will be analyzed to improve their services according to their user needs. Survey panels pay a certain amount of money to the survey takers for completing the surveys. It can vary from $0.50 to $5 per survey. Most of the surveys pay $1 on average. Paid survey is so easy that the survey takers can answer questions easily even while they are traveling using their mobile phone. 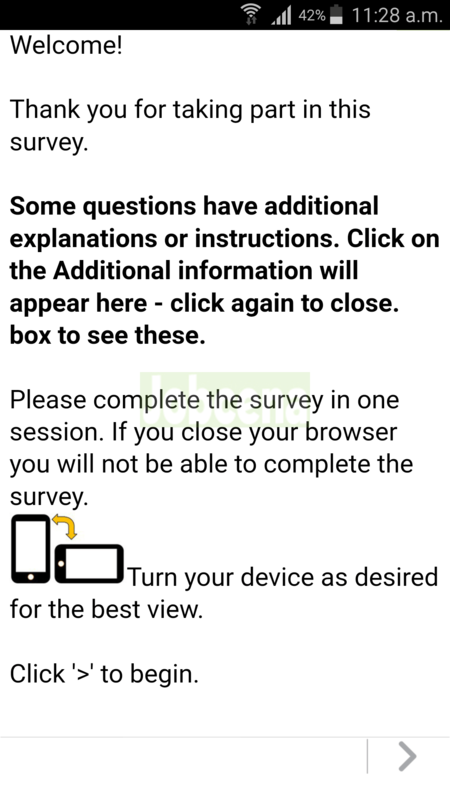 Few survey panels have developed mobile apps to take surveys directly through the mobile app instead of browsers. Usually, paid survey sites pay cash via PayPal, Check. Few survey panels allow it’s users to redeem points for gift cards of top brands like Amazon, Walmart, Domino, iTunes etc. Most of the paid survey panels allow users from thirteen years to register. Here is the list of best mobile paid survey sites to start. Hundreds of mobile apps are developed for the Android and the iPhone users to earn money directly from apps. 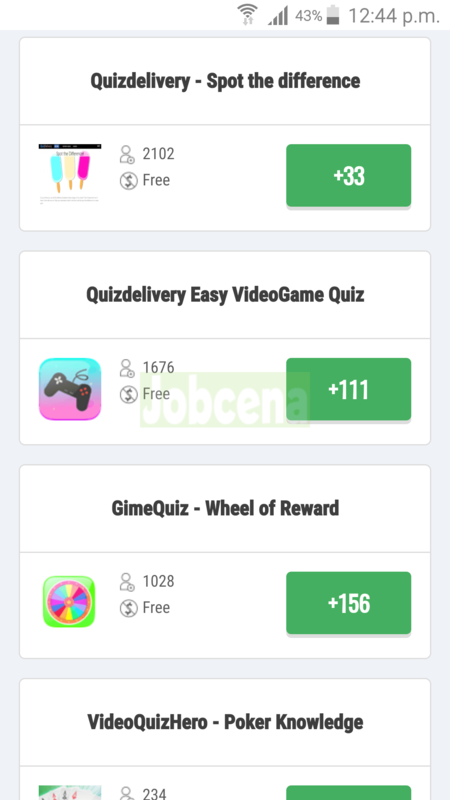 The users have to install the app and follow the procedure to earn money. Speaking about money app, each app is created for a different purpose but their primary function is to pay money to its users. The money apps pay for shopping online, taking surveys, answering the quiz, installing thrid party apps, tracking workouts, participating in events, subscribing to services, medical trails, reviewing products & services and many more. Unlike the money making programs available for desktop users, the mobile apps are very basic and easy to understand. Apps are created in such a way that it will guide the users from the beginning to understand the work easily. I myself found and people say that it is very easy to work with money making apps than working on the websites. To emphasize most of the mobile apps pay referral commission for referring friends. Try to refer your friends to earn more money without doing any tasks. Each app pays via different payment processors. The most commonly used payment methods are PayPal, Check, gift cards, retail e-vouchers, mobile phone recharge, Bitcoins and more. Check out the 20 best money making apps to earn using Android smartphone & Tablet, iPhone and iPad. The GPT sites host various money tasks to pay its users upon completion of those tasks. Micro-tasks, voting polls, searching the web, surveys, installing apps, single opt-in subscription, double opt-in subscriptions, watching videos, viewing content, reading emails are some of the simple paying tasks found in the GPT sites. GPT sites are now mobile friendly. Use mobile phone browsers like Google Chrome, Firefox to access the GPT sites and do not use the browsers like UC browser which has an ad blocker enabled by default. GPT sites work based on ad revenue and most of the GPT sites and it’s advertiser walls are smart enough to temporarily block the users who enabled ad blockers. Google Chrome should work well for using GPT sites. Once you sign up in GPT site, start trying to understand the features of the site. Complete the tasks and get paid instantly. Topmost GPT sites reward their loyal users with the daily bonus. Make use of such opportunities to increase the earnings. Major GPT sites pay using PayPal, Payoneer, Check, Bank Wire transfer and gift cards. Start earning money using the mobile phone on these GPT sites. This is a unique opportunity available only for the smartphones users to earn money by shopping. The sites and apps related to this category pay the consumers for two ways. The first way to earn is getting discounts and finding cashback offers for shopping online. Few sites even pay vouchers to apply the coupon in regular stores. This method seems to be very common. The next method is something different. Here the user must download the app provided by the company. After completing the onboarding process, the users can start earning money by following this procedure. Whenever you shop in stores, grocery shops, supermarkets, hypermarkets, and shopping outlets, scan the bills using the app to earn points. Some app will show the opportunities near you to make it easier. These paid to shop apps might look weird. But it helps users to save thousands of dollars every month in the bill. Saving is easier than earning. Love saving money? Get the paid shopping app installed on your mobile phone. Since ever Google started to penalize non-mobile friendly sites, the webmasters started to develop the responsive website to make their web property mobile friendly. Legitimate paid to click sites had moved to responsive design to help their members to earn money using cell phones too. Paid to click is the simplest make money program listed here. Mobile PTC sites pay its users for viewing ads using the mobile phone. Members get paid for watching websites daily. PTC users are earning more than a thousand dollars every month. Though this looks a bit simple, you need to apply some techniques in order to earn a decent amount of money every month. This is not going to happen the first day. It takes time to learn the working of paid to click industry. Be an expert in the community, show up your face daily and success follows. You will start to make thousands of dollars just by spending few minutes per day. If you’ve got an idea to step up in paid to click industry, this guide will help you to start – Basics to start working on PTC sites. These are the list of online jobs that cannot be done completely using the mobile phone. Instead, mobile phones can be used to manage progress, testing, payments and following instructions. We were discussing some of the ways available to make money by working on mobile phones. Those programs were simple, easy and of course, can’t be called as the reliable option to depend to pay monthly bills. This here is real, professional and high paying online job i.e., the freelance jobs. The freelance jobs are for skilled people who can handle and complete various freelance projects. There are several freelance categories available for the freelancers. Here I talk about the mobile app development for smartphones running in Android, iPhone and other mobile software. Companies/clients pay thousands of dollars for developing mobile apps. So, if you’re a mobile app developer, make use of this opportunity to earn money getting hired as a freelance mobile app developer. Though desktop emulators help to create, design and test the mobile app. It’s the smartphones which are going to give full experience to test developed mobile apps. Mobile app development is just one among thousands. Got skills? Become a freelancer today – find online freelance jobs. The Virtual assistant job is one of the high paying part time jobs on the internet. Smartphone or tablet plays an important role in the virtual assistant job. The virtual assistant job is a simple one for people who got trained to be a virtual assistant. Work as a virtual assistant for a client, manage all their day to day activities virtually. This is like a personal assistant, assisting the client using PDA. This job does not directly relate to mobile online jobs. But, it’s better to know that the virtual assistant job is great. Smartphones play an important role in these kinds of jobs. Work as a user experience tester to earn money by testing the user experience of apps, websites etc. To work on user experience testing jobs, you must have good knowledge to follow the instructions provided for testing. It might take up to 20 minutes to complete the testing work. Based on the complexity of the work, the companies pay up to $10 per user testing job completion. To get hired for this job, the user must pass the basic eligibility test. These are some of the money-making opportunities for mobile phones users. However, I advise you to stay away from such jobs since they are considered unethical ways to make money. It’s a known fact it is impossible to do data entry jobs using the mobile phone due to simple physical and several technical restrictions. Though MS Word, Excel and other data entry apps are available on Android smartphones, they have minimum editing options and the operation speed will be less compared to the desktop version. While the regular data entry jobs are not available for mobile phone users, there is another data entry job called captcha entry that can be done using the mobile phone. Previously doing captcha entry work was possible only on the desktop. Since the smartphone users increased incredibly, they have developed a way for their users to work using the mobile phone. The mobile captcha entry jobs pay up to $0.0015 for solving a captcha. 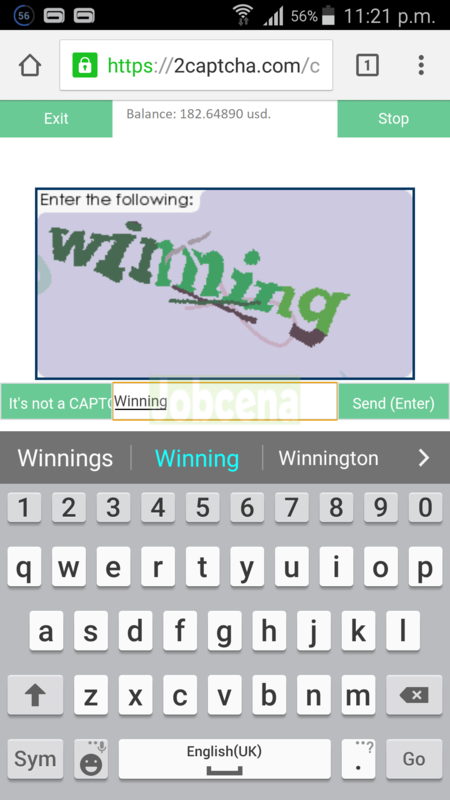 To solve the captcha the worker must enter the text given on the image in the text box. The worker must continue to solve captchas as much as he can to earn more money. There are captcha entry users who earn few dollars every day. But, the mobile captcha job is considered as unethical data entry work for some reason. If you are still interested in doing data entry work using mobile, here you go learn more about Captcha entry work. Mobile SMS sending jobs are kind of useless work and most of them are fake. While the companies use bulk SMS technology to send marketing SMS to the customers, there is no legit company which pays for sending SMS one by one from home. Few are said to be legit but they just pay for referring users to use their online SMS sending services. Clearly, this is not a legit job. So, I advise you to stay away from these kinds of jobs. Beware of fake sites on the internet while sells packages like SMS sending jobs, ad posting jobs, form filling jobs etc which are just created to scam and cheat internet users. 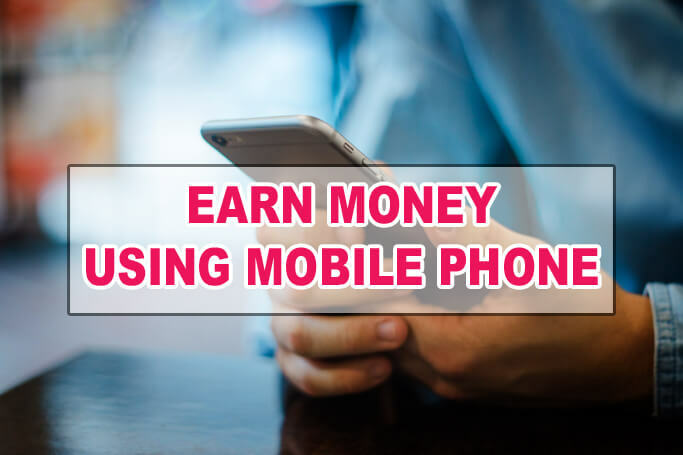 Earning money using mobile phone is made easy and simple. Earn money using mobile phone from anywhere – home, work, school, college, bus, train. Some of the earning opportunities are only available for mobile phone users such as paid shopping apps. Mobile apps are specially designed for making money on smartphones. Manage freelance project work using the mobile phone. Many indirect ways to make money using mobile phone such as the virtual assistant job. Fewer scams compared to the desktop-based online jobs. Mobile phone users can expect something new and reliable to earn money using their mobile phone in the future. Very limited opportunities available to earn money using the mobile phone. Most of the mobile online jobs listed here are not reliable. Mobile phones have restrictions to use it for work purpose. People from tier -3 countries cannot make money using cell phones due to limited advertising and opportunities available in those countries. I have a mobile phone, Samsung tab A6 but am from Malawi, Africa. Help to apply for this job. You can download these Android apps in your Tab for free to earn money. However, be advised that the opportunities are in Africa!